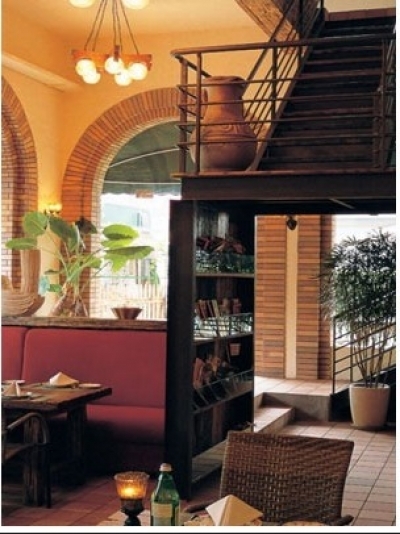 The 2008 Pearl River Delta Reader's Choice Best Italian Restaurant is called OGGI. A perennial favourite among expats, OGGI specializes in pizza in a home-style environment. The owner and chefs all come from the Mediterranean so they know exactly what they are doing when it comes to pizza, and it shows. The authentic Capri Pizza is cooked in an immense oven and is a treat for the taste buds. It may be a cost a bit more than you're used to paying for a pizza, but it's definitely worth it. If you stay long enough you might get a chance to speak with Chef Ferrari (a Capri native himself) when he comes to your table to see how you liked your meal.